Czech film posters of the 1960s are some of the most extraordinary graphic creations ever put on paper. So how can it be that outside of Eastern Europe, especially in English-speaking countries, these posters and the graphic artists who created them during a period of remarkable artistic freedom are barely known? The history of the Polish poster in the Communist era is certainly familiar and widely appreciated. 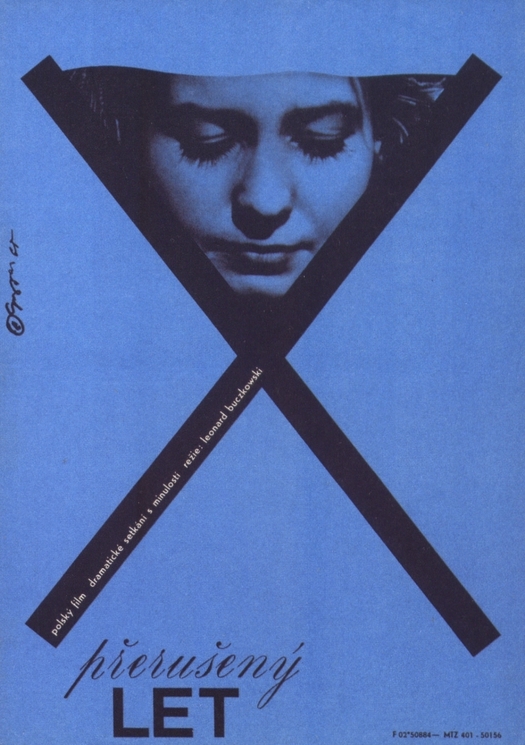 The story of the modern Polish film poster began in the 1940s and the medium remained strong for several decades. 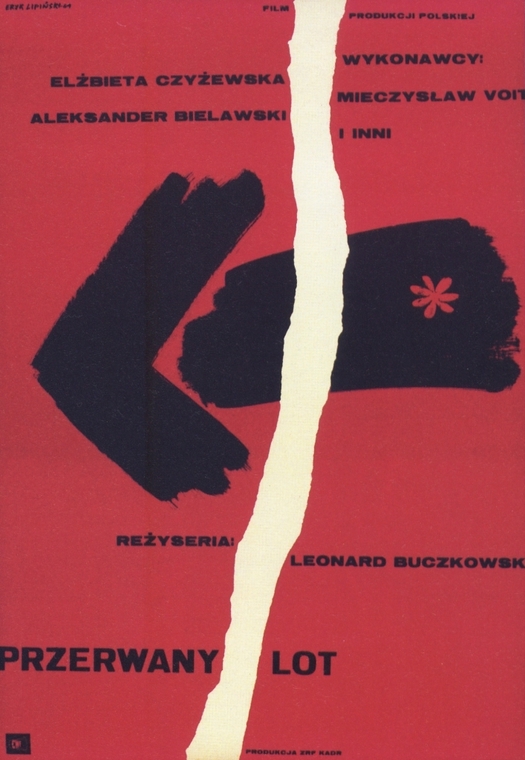 Czech film posters flourished for a relatively short time under Communism; the best in the modern style were created from the late 1950s to the early 1970s, after which there was a falling-off. In each country, editors at enlightened commissioning organizations — in Czechoslovakia the Central Film Distribution Agency — encouraged committed poster artists, who were often also fine artists, to do exceptional work. 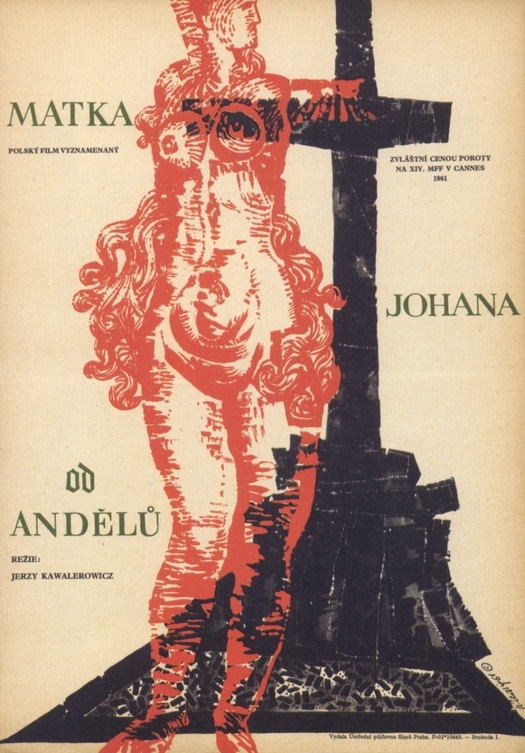 Polish posters have been extensively documented in survey books and monographs about the major figures. But the graphic heritage of the golden age of Czech poster production has fared less well. Very little has been published in English on the subject. I knew nothing about these amazing Czech posters until I started to visit the Czech Republic regularly in 2000. Later, I was given a copy of Czech curator Marta Sylvestrová’s superb — and massive — Czech Film Posters of the 20th Century (2004), which remains one of my most treasured design books. (Amazon doesn’t have it, but you can find it here, here and here.) I included many of the most surreal posters in my exhibition Uncanny: Surrealism and Graphic Design. For me, Czech film posters, considered as a school, have the edge over Polish film posters — I readily concede that it’s a close run thing. 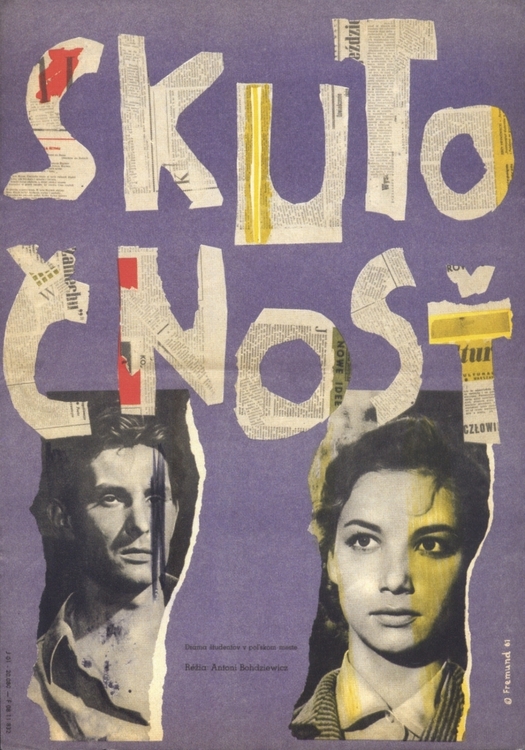 As is often remarked, Polish posters tend to be painterly and pictorial, though there are brilliant exceptions such as the work of Roman Cieslewicz, already a master of photo-collage in the late 1950s. The Czech poster artists were a little slower to discover photo-collage, but they soon made the technique their own in bravura feats of design that fuse collage, photo-collage, montage, hand-drawn and painted elements, and exuberantly playful lettering and type — often in the same image. We now have a chance to make close comparisons between Czech and Polish film posters. Since 2005, a collector in Prague named Pavel Rajčan has amassed 10,000 Czech film posters, many for sale through his Terry Posters website; he also has 1,500 Polish posters. Rajčan isn’t the only dealer in Czech posters to be found online, but he is certainly the most active, image-conscious and visible. I visited him and his collection at the Kino Svetozor arthouse cinema in Prague last year while working on my exhibition and it’s a highly organized operation. To date, Rajčan — a man who clearly doesn’t sit on his hands — has put together around 70 exhibitions based on his collection. The latest show, Confrontation, at the Museum of Cinematography in Lodz in Poland (until the end of January), compares Czech and Polish versions of posters designed by different artists for the same films. There is also a catalogue with a larger selection of posters, showing 74 pairs. 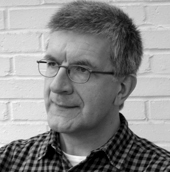 I have selected three pairs to reproduce here: Reality (1961), Mother Joan of the Angels (1961) and Interrupted Flight (1964). One consequence of the comparative method is that the posters in the show aren’t always all of the highest design quality since the classic posters produced by the two countries don’t necessarily correspond in this way. However, these six examples are all very fine, as well as being impressively oblique compared to any film poster we might see today, though I would say the Czech poster is the stronger in each case. All five of the designers — the Czechs Karel Teissig (1925-2000), Richard Fremund (1928-69), Milan Grygar (b. 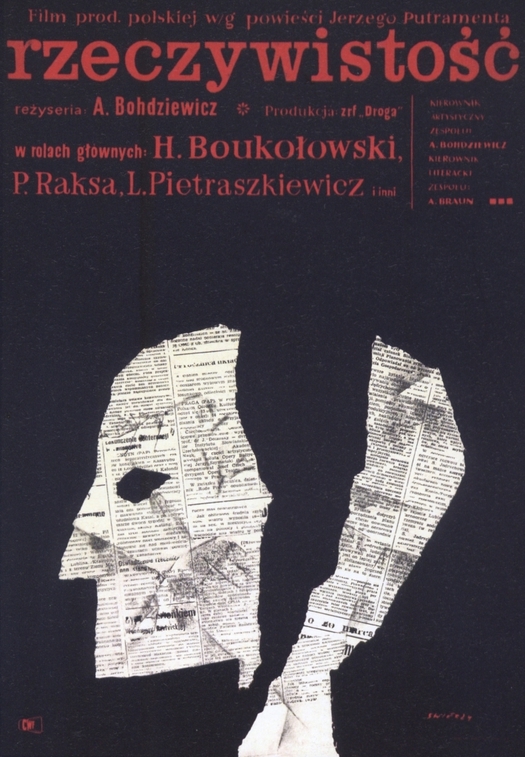 1926), and the Poles Waldemar Świerzy (b. 1931) and Eryk Lipiński (1908-91) — are major poster artists. Not for the first time, one is left thinking that graphic design history offers great swathes of nutrient-rich but barely charted terrain for any researcher looking to undertake original scholarly investigation. very nice, rick... your next project perhaps? good to see the beginnings anyway of more differentiated discussion on east european posters. Nice article, but one geographical point. Czech republic is central Europe not East. The Czechs get very touchy about this. Fair point, Marcus. I hesitated over this, but Rajčan speaks about Poland and Czechoslovakia as being part of Eastern Europe in his book so I went with that. I guess the location is being used more in the sense of an ideological and economic system or bloc — East as opposed to West (pre-1989) — than in a strictly geographical sense. Finally someone notices how great they are! as yet a comparison of czech and polish posters, so only as representative "eastern european" as a discussion of french and german could be summed up as illustrating west european. however, i see this is an expanding project which would stretch from east berlin to tirana, and embrace all that difference! The others are a bit too (I hesitate to say) deconstructed for my liking. 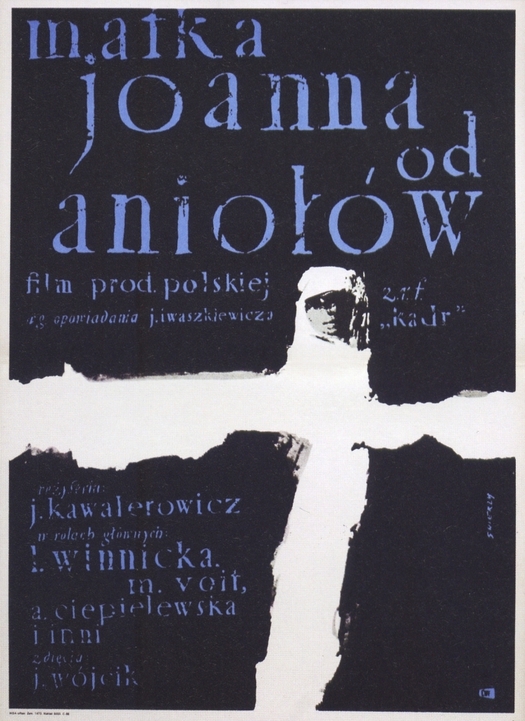 Especially Waldemar Swierzy, Mother Joan of the Angels, poster for Polish film, Poland, 1961. Thank your for this article and raising the awareness of these fabulous posters. YES! THANK YOU RICK! THESE ARE THE BEST POSTERS EVER!!!!!!!!! I think that czech posters were even a Bigger influence on cuban posters during the sixties, than polish posters (which Of course were influential too). Great topic!! If anyone is interesting more in this subject I do recommend to visit http://www.postermuseum.pl/en/main it's for sure a biggest source of polish posters.. In my opinion eastern europe graphic design is far more creative than a western one, please have a look on some works of Wiktor Gorka, or Tadeusz Trepkowski and Bronislaw Zelak this is really inspiring stuff.